Jenni Ferrari-Adler is a graduate of Oberlin College and the University of Michigan, where she received an MFA in fiction. She works as a literary agent. 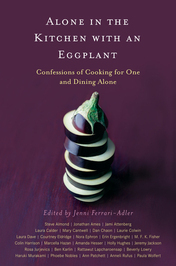 Her short fiction and food writing has been published in numerous places including Glimmer Train and New York Magazine. We’d love your help. Let us know what’s wrong with this preview of Other People We Married by Emma Straub. We’d love your help. Let us know what’s wrong with this preview of Four Kitchens by Lauren Shockey. We’d love your help. Let us know what’s wrong with this preview of Campfire Cookery by Sarah Huck. We’d love your help. Let us know what’s wrong with this preview of Ancient Grains for Modern Meals by Maria Speck. We’d love your help. Let us know what’s wrong with this preview of The Wikkeling by Steven Arntson.